I’ve never been much into the Assassin’s Creed games. I’ve played a bit of the first, second and third numbered games (haven’t played Revelations or Brotherhood) and they all failed to hold my attention. Assassin’s Creed III seemed cool, but for whatever reason I only played the first twenty minutes or so and never got into the game. So far Assassin’s Creed IV is holding my attention a bit better. I just finished sequence 2 tonight and I have to say I enjoyed it. I’m really liking Edward as a character and so far the game has been fun to play. That said I almost returned the game to GameFly and never progressed any further after failing the mission where you chase the sage five times in a row. I hate missions where you have to chase someone. These missions really show off just how bad the controls in Assassin’s Creed games can be. While trying to chase after the guy I was constantly getting stuck on ledges where Edward would grab onto a ledge and just not move, or at times he’d fall the wrong way or jump into a pile of hay when I didn’t want him to. 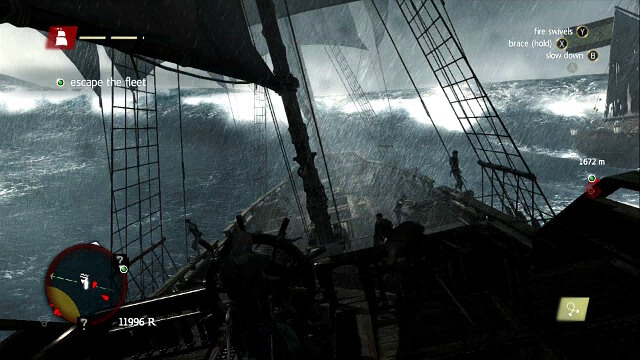 The climax and conclusion to sequence 2 at sea was a thrilling experience. I’m looking forward to getting into sequence 3 possibly tomorrow. 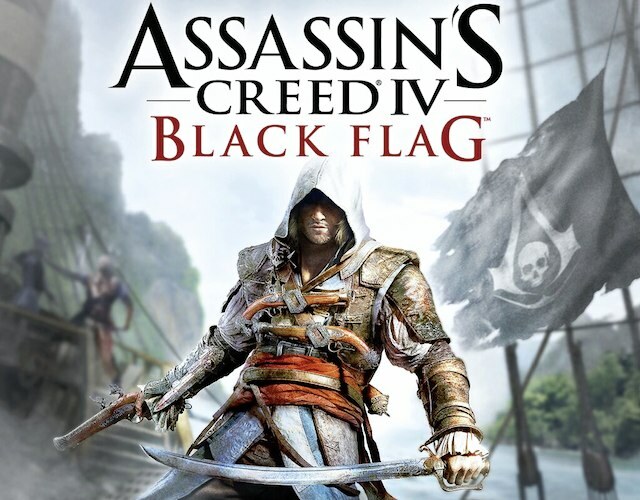 This entry was posted in Video Games and tagged Assassin's Creed 4, Assassin's Creed IV: Black Flag, Black Flag, PS3, sequence 2. Bookmark the permalink. Starbucks and drinking coffee at home. Phone calls in flight? Really that big of a deal? I’m playing through Assassin’s Creed II still (since it was the freebie a few months ago on XBL). I like it but I totally understand what you’re saying about chasing people. I *ALWAYS* end up tackling some random civilian and then the guards go on alert and all hell breaks loose and I just wanted to stop the pickpocket. Also I am now worried that if I go to Italy I will attempt to climb up all the buildings. Haha yeah, luckily I haven’t run into any other road blocks so far in IV. Hopefully there won’t be too many more chasing sequences in it.